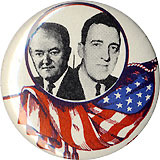 Pinback button promoting the reelection of President Dwight Eisenhower, 1956. 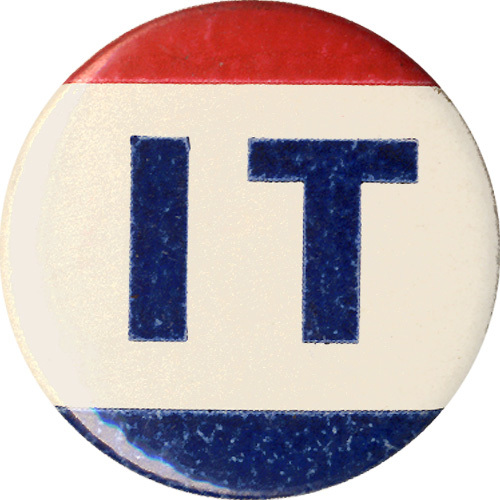 The cryptic two-letter acronym on this pinback is possibly the shortest presidential campaign slogan in history: I, for Ike, T, for twice; or, two terms for President Eisenhower! 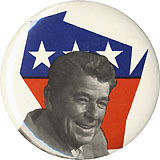 Auction records above $20.